Archie had discounted all the loose talk about killing and it hadn’t prepared him for blood. But there was blood, though not much of it, because the knife. was still sticking in Phillip Laszio’s back. Only the hilt was showing . . . 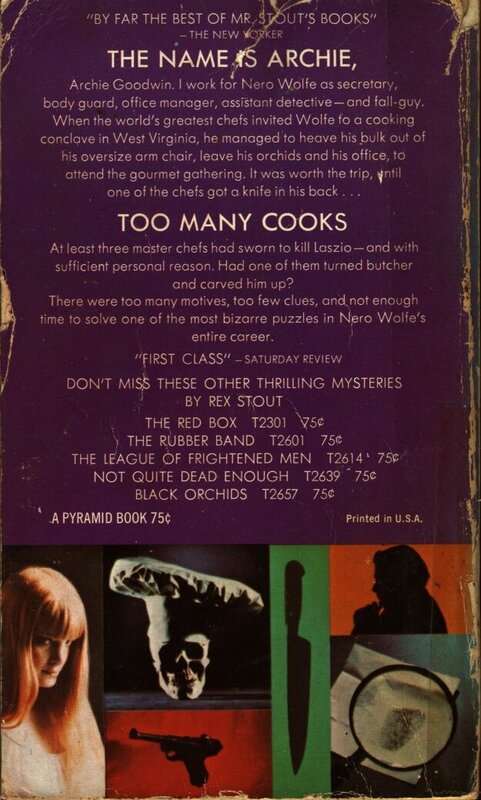 It was enough to spoil anyone’s appetite for the finest food in the world-except Wolfe’s. It was a matter of honor to find the killer, but not on an empty stomach! 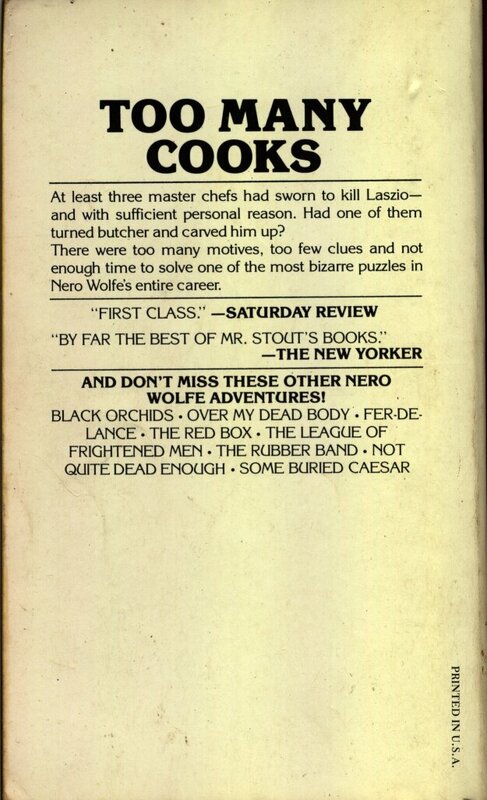 At least three master chefs had sworn to kill Laszio — and with sufficient personal reason. Had one of them turned butcher and carved him up? There were too many motives, too few clues and not enough time to solve one of the most bizarre puzzles in Nero Wolfe’s entire career. 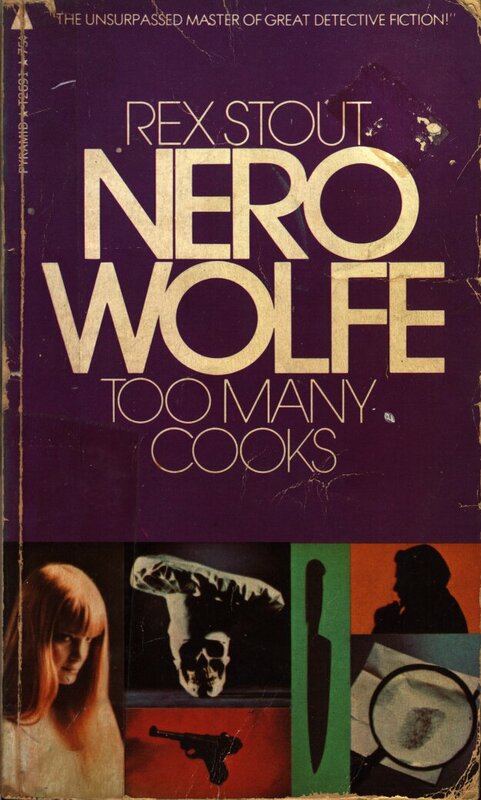 AND DON’T MISS THESE OTHER NERO WOLFE ADVENTURES! 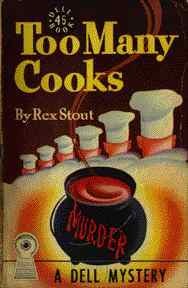 Too Many Cooks – 19?? This scan was sent to me by Leo Heller aka Michael Largey. Thanks Michael!!! The cover on this edition was printed in 1972. At least three master chefs had sworn to kill Laszio — and with sufficient personal reason. Had one of them turned butcher and carved him up? 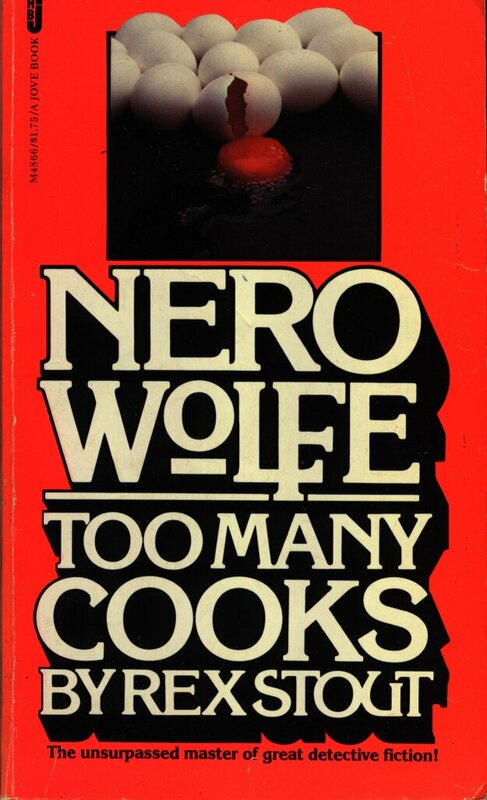 There were too many motives, too few clues, and not enough time to solve one of the most bizarre puzzles in Nero Wolfe’s entire career. Archie had discounted all the loose talk about killing and it hadn’t prepared him for blood. But there was blood, though not much of it, because the knife was still sticking in Phillip Laszio’s back. Only the hilt was showing…. It was enough to spoil anyone’s appetite for the finest food in the world – except Wolfe’s. It was a matter of honor to find the killer, but not on an empty stomach!